^ Barry, Tim (May 11, 1981). "In Search of the Ultimate Computer Game". InfoWorld. pp. 11, 48. Retrieved April 17, 2019. ^ "The evolution of gaming: computers, consoles, and arcade". Ars Technica. October 11, 2005. ^ Sartori-Angus, Alan (December 1982). "Cosmic Conquest". BYTE. pp. 3, 124. Retrieved October 19, 2013. ^ "IGN's Top 100 Games of All Time". Top100.ign.com. Retrieved June 1, 2011. ^ a b Glancey, Paul (April 1990). "Mean Machines: Herzog Zwei". Computer and Video Games (101): 103. Retrieved February 4, 2012. ^ Clarke-Willson, Stephen (August 18, 1998). "The Origin of Realtime Strategy Games on the PC". The Rise and Fall of Virgin Interactive. Above the Garage Productions. Archived from the original on May 4, 2003. Retrieved January 30, 2012. Aha, D.; Molineaux, M.; Ponsen, M. (September 7, 2005). Muñoz-Ávila, HéCtor; Ricci, Francesco (eds.). 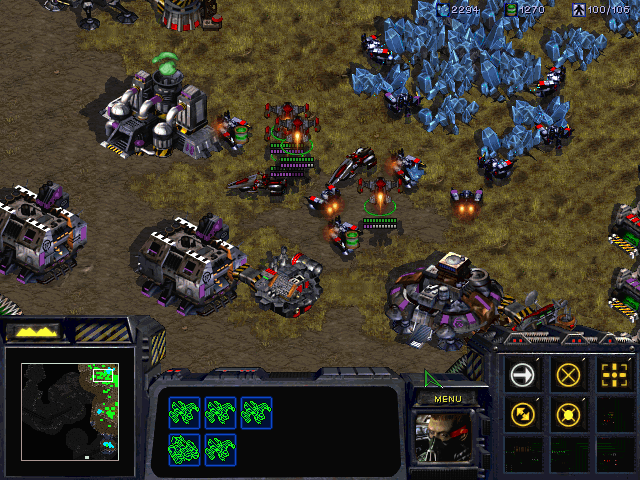 Learning to Win: Case-Based Plan Selection in a Real-Time Strategy Game. Case-Based Reasoning Research and Development. Lecture Notes in Computer Science. 3620. Springer Berlin / Heidelberg. pp. 5–20. doi:10.1007/11536406. ISBN 978-3-540-28174-0.